Wow, that is a giant bowl of stew! 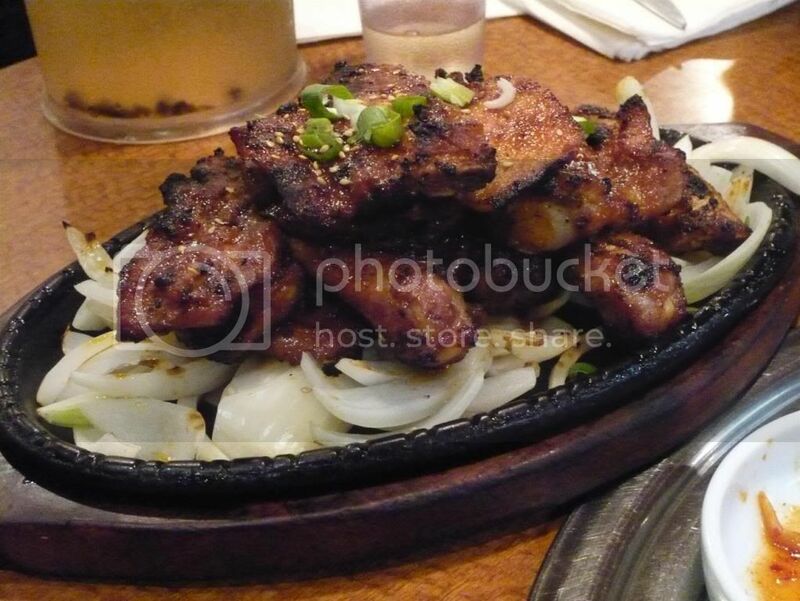 It seems like lots of Korean restaurants have grills but never use them. I've been to several places where they say they will grill it at the table but end up never doing so. 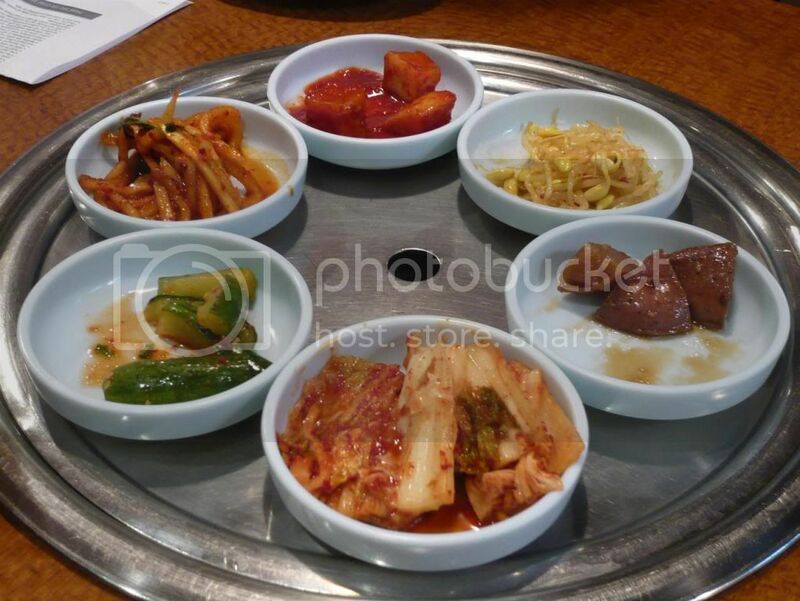 Hamjipark is great, one of my favorite Korean restaurants in L.A. 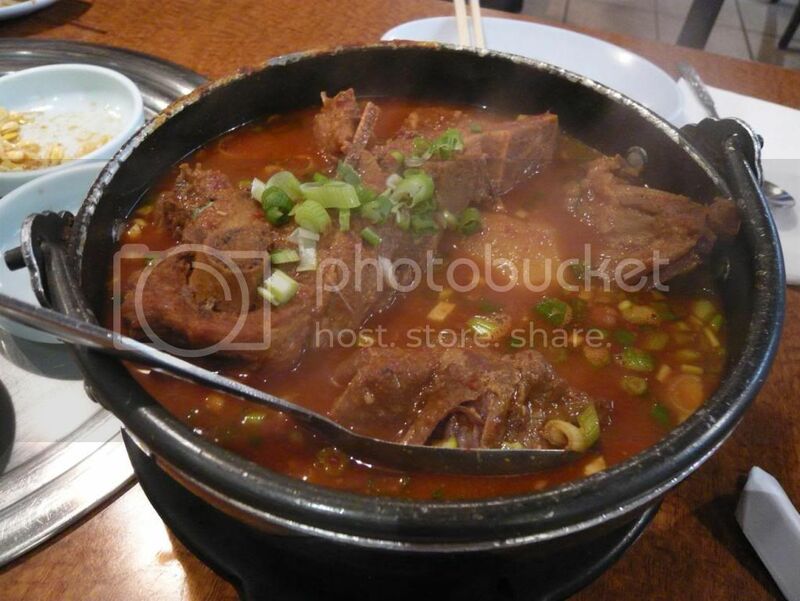 Sadly, I've never eaten the pork neck stew, though that's the dish that Mattatouille raves about too. The squid with vermicelli is incredible, and I'm also a big fan of the sizzling pork ribs. They do use the grills, but only for the marinated discs of top sirloin, which are also good. I need to use my GCs and get my HJP fixin'! They definitely break out the grills for the pork, though I prefer the pre-cooked spare ribs. Next time I will definitely be trying the soup though. Thanks. There's a place that does gamjatang in ktown that we have to visit...it's only $6 a bowl. That's about how much it is in Korea. I had gamjatang like 4 times when I was last there. Matt: oh yes, let's go, let's go! Wow, the Pork Neck Stew looks *so* good! :) Thanks for the 411 on this place. :) Can't wait to try it.